CIO Perspectives comes to Boston this June with an all-new agenda on the top issues facing organizations in 2015. Built from the ground up with guidance from an advisory board of local CIOs, our program incorporates their insights with those of CIO magazine and its editor in chief, Maryfran Johnson. 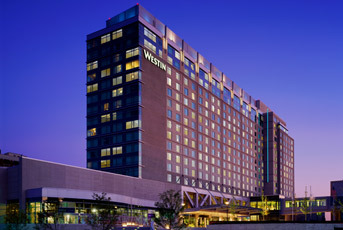 Join us for rich content, superior networking and event excellence, all in one day. CIOs, VPs of IT and Directors of IT are invited to apply to attend CIO Perspectives. Our application process ensures you’ll meet the right people onsite for peer learning and unparalleled networking. Sponsorships at CIO events are designed to provide value and interaction for both attendees and sponsors through brand visibility and networking. From analytics and mobile to cloud, social, management and services, technologies of many types are essential to our audience and our event. Contact us to learn more. 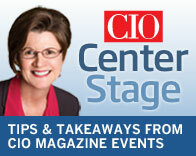 Keep the conversation going by subscribing to CIO Events’ Center Stage newsletter. Published after each CIO Perspectives event, it will bring you the latest insights from around the country. Read a recent edition. Subscribe now. Tag your posts #CIOPBOS, follow us at @CIOevents, and make sure to join our CIO Forum on LinkedIn.